frosty was acting like he had a flea or something tonight, so i tried to put the little dropper application between his shoulders. 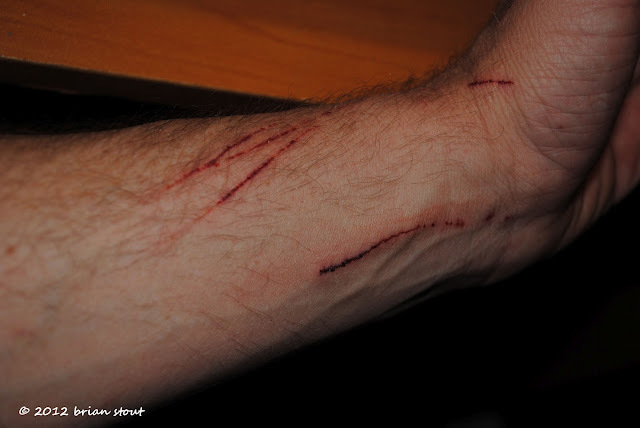 not in view are the two puncture wounds on the palm of my hand and a scratch between my fingers. Ouch, ouch, ouch! And I was wondering the same exact thing as Jim!